The Proteas had a very comfortable win over Australia in their warm up match preceding the ICC World Cup. This is good for morale, but a warning from Hashim Amla reminded the Proteas not to rest on their laurels. The win also mean that Colin Ingram Morne van Wyk will not get a chance to bat, but the Proteas believe that that team’s hard practices will stand them in good stead for the ICC Cricket World Cup. 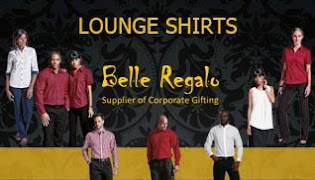 Make sure that your company is ready with their Protea Friday shirts to support the Proteas in their ICC World Cup Matches. If you think that the FIFA World Cup was the end of all the Sport’s hype, then think again and start getting your Pure Protea Friday. 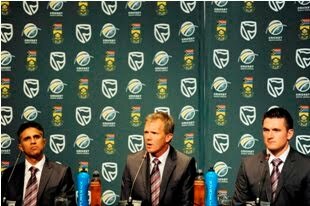 The Proteas departed for the ICC Cricket World Cup 2011 following a press conference in Sandton, where the team thanked the public for their support in the build up to world’s cricket’s showpiece event. The ICC Cricket World Cup starts on Saturday, 19 February and South Africa’s first match is on Thursday, 24 February against the West Indies. In January 2011 the Minister of Sport and Recreation, Mr Fikile Mbalula, released his year long program that will shape and characterise the work of the department. Meanwhile Minister Mbalula, also launched the Magnificent Fridays in promoting patriotism amongst South Africans to rally and support the Proteas, Amantombazani and Die Bokke during their respective World Glory. The minister stated that the most important thing is the face of a South African in Protea colours during the Proteas’ India invasion, the same in Singapore when Amantombazani will be doing the country proud and lastly when as the World Champions the Die Bokke will again be celebrating the hoisting of the flag. “We are going to be 100% Pure Proteas come February/March” stated Minister Mbalula. Let’s celebrate the Pure Protea Fridays from now until end of the ICC World Cup when the Magnificent Fridays continue with both Rugby and Netball teams. 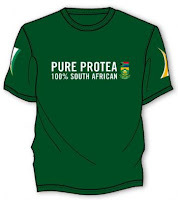 It seems that South Africa is on a huge patriotism drive and part of that is definitely the Pure Protea Friday Initiative. 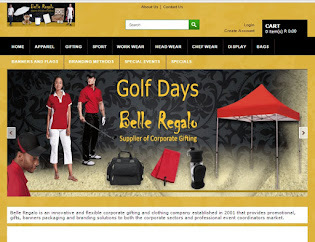 So now is a good time to start planning your sport’s incentive campaigns. All South Africans are called show support every Friday by wearing the Proteas cricket shirt. 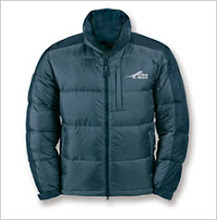 The attached picture is from: Cricket SA and can be viewed on the Cricket SA website. Protea Friday Shirt promoted by Lead SA. 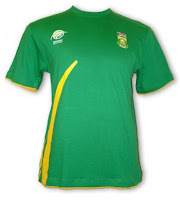 We are encouraging all South Africans to wear the Protea Friday Shirts with pride to stand behind our Cricket Team. Cricket South Africa (CSA) has welcomed an initiative by Lead SA, encouraging the South African public to show their 100% support for the Proteas. 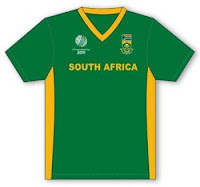 Similar to the successful trend of Football Fridays, where South Africans wore their soccer jerseys in support of Bafana Bafana, people are now being encouraged to show their support for the Proteas ahead of the ICC Cricket World Cup in February. The ICC Cricket World Cup, generally referred to as the Cricket World Cup, is the premier international championship of men's One-day International (ODI) cricket. The event is organised by the sport's governing body, the International Cricket Council (ICC), with preliminary qualification rounds leading up to a finals tournament which is held every four years. According to the ICC, it is the most important tournament and the pinnacle of achievement in the sport. 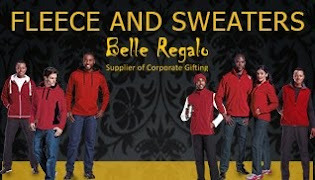 Belle Regalo sells a wide variety of Cricket related Gifts including the Protea Friday Shirts and Proteas Tee.